Welcome to the beauty of Yosemite National Park. You can take advantage of the wealth of fun activities offered in Yosemite, from hiking and exploring to bicycle riding, skiing and rock climbing. Many organized activities are provided by the Park Service, such as tours, lectures and campfire events. Call ahead for events scheduled to be held while you are visiting the park. Spanning more than 1,000 square miles of the western slopes of California’s Sierra Nevada mountains, Yosemite National Park hosts over 3.5 million people each year—all looking for the best things to do in Yosemite. From Yosemite camping to hiking to floating down the Merced River—or charging down the Tuolumne River’s rapids—there is never a shortage of fun, educational and inspiring things to do in Yosemite National Park. Get Active! Vacationing in Yosemite National Park presents visitors with countless ways to get active and take in breath-taking sights at the same time. If you’re looking to have an adventure packed Yosemite vacation, you should consider trail hiking, river-rafting or visiting hot spots like: Half Dome, Mariposa Grove, Glacier Point, Panorama Point, Yosemite Valley and Yosemite Falls. Learn Something: Yosemite National Park has tons of things to do, but sometimes the best things to do in Yosemite are the best things to learn. Make the most of your trip to Yosemite by taking advantage of the myriad opportunities available to enhance your knowledge of the Yosemite Valley. Hiking: Yosemite has some of the most beautiful hiking trails in North America. Walk down and up easy casual strolls and enjoy the scenery, or get on something a little harder and push yourself to climb one of Yosemite's famous rocky mountains. 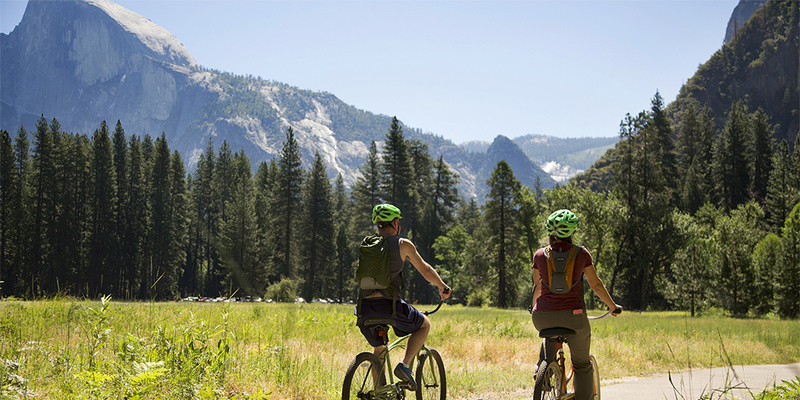 Bicycling: Weather you like to casually bike along mountain sides, or go extreme off-roading for a thrill, Yosemite's bike trails are for you! Rock Climbing: World famous for it's rock climbing, Yosemite's half dome and other popular mountains attract thousands of rock climbers from all over the world. Sightseeing & Stargazing: A beautiful serene day sky with mountain views that will leave your breathless, and when the sun sets look up and gaze into the stars and vast universe. Ranger Walks: National Park Service rangers give you the scoop on the history and ecology of the Park, and provide an insider’s take on the best Yosemite National Park things to do. Art Classes: The Yosemite Art and Education Center offers free outdoor classes every day in the park, with supplies available for purchase. Take home a Yosemite work of art —your own! Native Cultural Programs: Learn about basket weaving, food preparation and more of Miwok Indian traditions. Photography Walks: Professional photographers take you on a photographic journey into the park that inspired Ansel Adams. Among the best things to do, Yosemite National Park camping ranks near the top. The park holds 13 campgrounds, most of which have a 7-day limit, and range in price from $10-$20 per day. However, if you’re looking for more modern accommodations that are within the park itself, you should contact Yosemite’s Scenic Wonders. 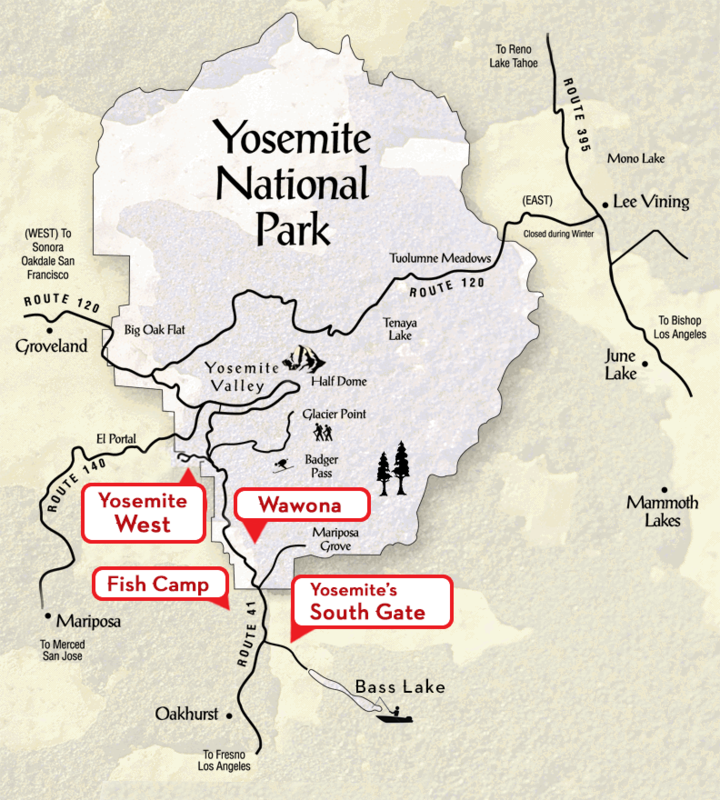 At Yosemite’s Scenic Wonders, we have numerous vacation rental properties that are ideal for all types of individuals. Whether you plan to come with your entire family or are hoping to have a romantic vacation just for two, we have many homes, condominiums and cabins for you to choose from. What are some fun things to do in Yosemite? Sightseeing with Park Service-guided tours. Bring your camera and plenty of film! Play tennis and golf, visit the famous Ahwahnee Hotel, eat at its 4-star restaurant, participate in Park Ranger-led events, learn the history of the valley, or just relax in your home away from home. Nearby attractions include the Giant Redwoods Grove, Glacier Point, Bridalveil Fall, Half Dome, the Tuolumne Meadows, the Merced River and many marked trails for day hikes both in the valley and surrounding parkland. In the wintertime, you can ice skate in the valley.